World leading brands need to reinforce their positions through always-accessible customer care. Making sure calls get straight through to service centers. And nobody is left hanging on the line. 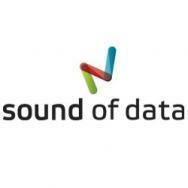 At Sound of Data, we know how precious the human voice is to effective communication. And that there’s nothing worse than an unavailable or crackly line to spoil a customer care experience. Which is why we deploy ingenious use of our technology to prevent that from happening.